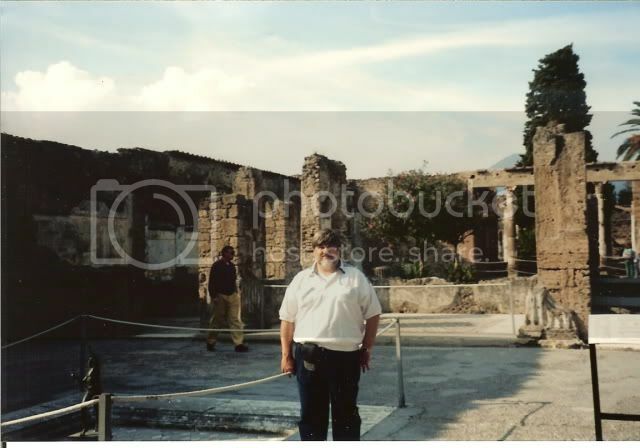 Okay - Monk did shame me into scanning some photos of a 1995 trip to Italy. 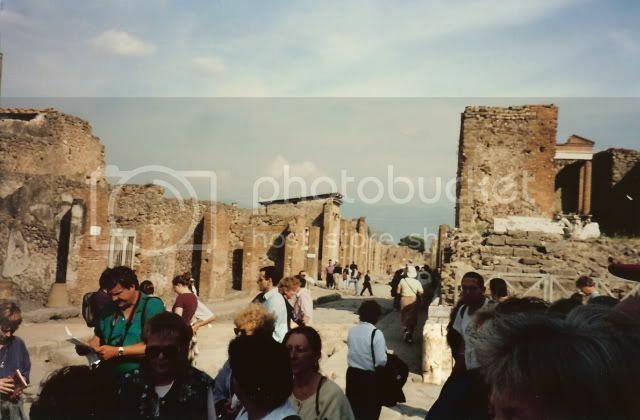 A highlight was a day trip from Rome to Pompeii, just south of Naples which had the added bonus of beginning on the Via Appia which leads south from Rome to Campania. 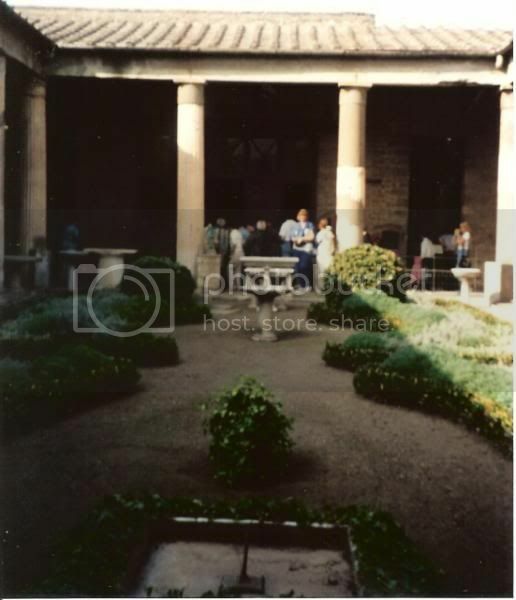 A villa in the town with this shot of the peristylium, or colonnaded garden which was a fixture of wealthy Roman homes. I'll post the rest tomorrow. 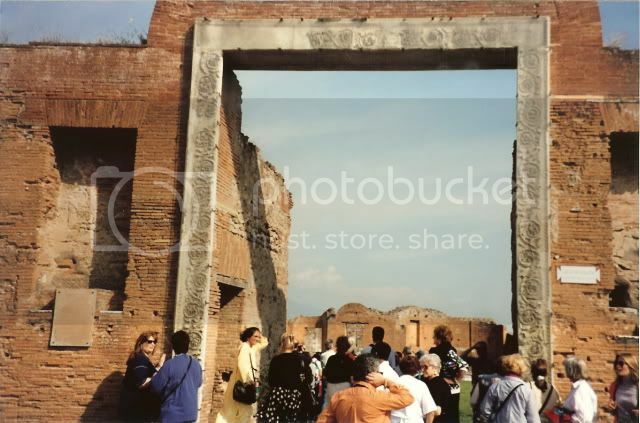 I think this was the Portus Marinus (Sea Gate) which is now the main entrance into town. 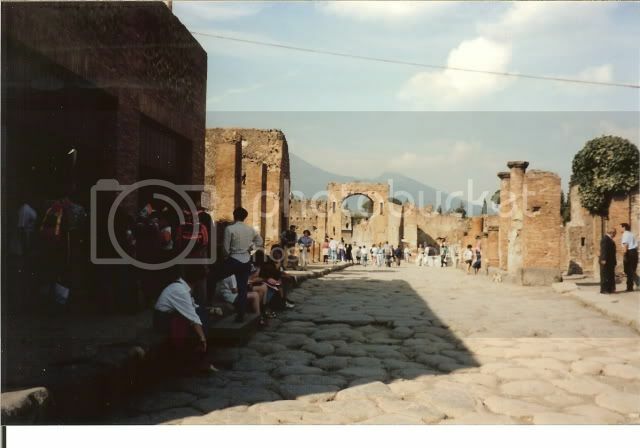 In antiquity Pompeii was a port but the land has risen and it is now some distance from the Bay of Naples. 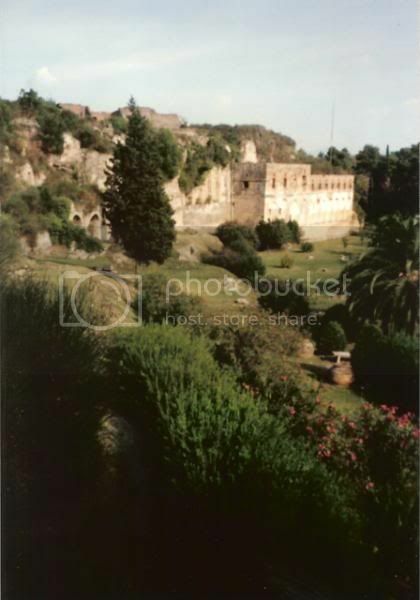 The setting is idyllic, however, much of the Campanian countryside looks like this. Must be that good volcanic soil? Last edited by Minimalist on Mon Apr 28, 2008 12:51 pm, edited 1 time in total. 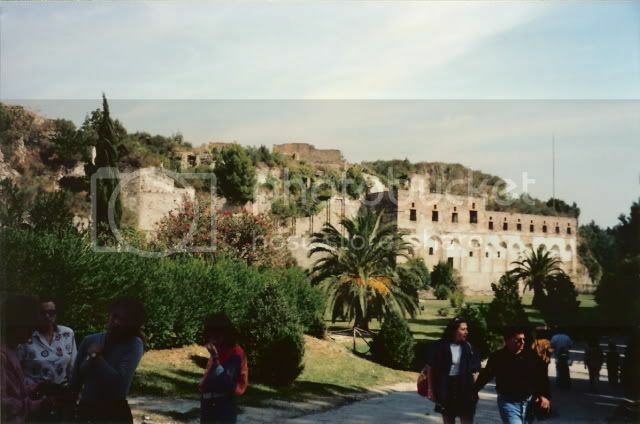 Inside the walls the feeling is one of being transported back in time. Upper floors of the buildings collapsed under the weight of the ash but the first floors held up remarkably well. As you can see the roads are in amazing condition. In many places it was possible to view water pipes, for hot and cold water (the hot water pipes had expansion joints!) just another testament to the Romans' sophistication in handling running water. Apparently only the Roman elite ate at home. The commons tended to these roadside kitchens where my wife pretends she knows her way around any kitchen. We saw several of these. One imagines that the fear of fire was always a major concern in close-packed quarters. 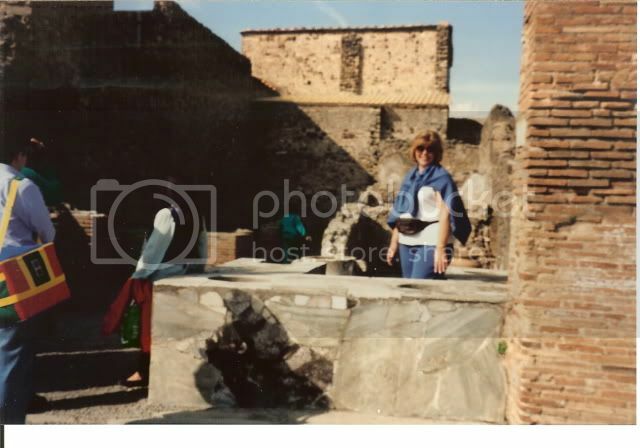 Yours truly hanging out in a villa which did not fare so well although in its day it must have been magnificent. I still had my beard back then. Another shot of the walls having collapsed around the garden, giving way to a view of the street beyond. This home would have been worthy of a member of the senatorial, or at least equestrian classes. This was much more than a mere merchant could have afforded. 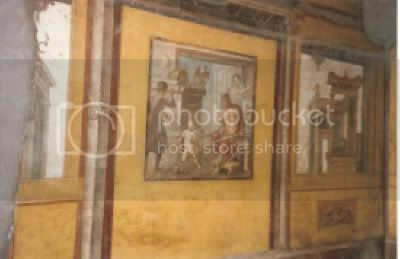 The preservation of decorative frescos in the houses is astounding. The richness of the color is not captured by the camera. These things are beautiful and the red is a cross between almost a fine red wine and blood. 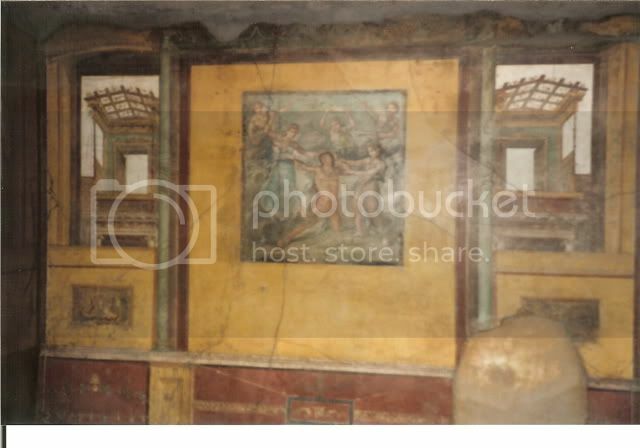 Then, there was the brothel where this fresco was perhaps intended as an instruction manual or an advertisement. 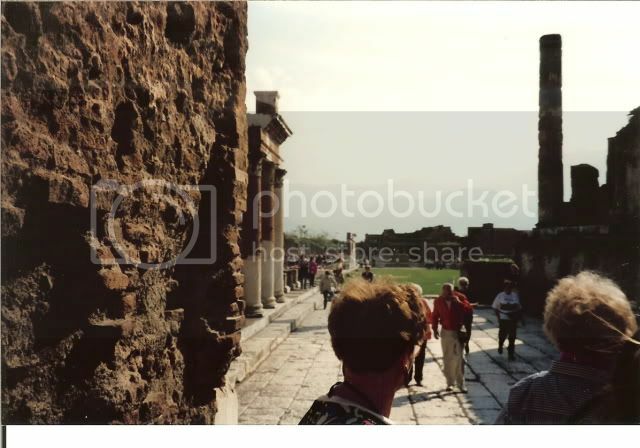 All Roman towns were laid out in a grid centered on the forum...oddly, the main exception to that plan was the city of Rome itself where they had to make allowances for the hills. 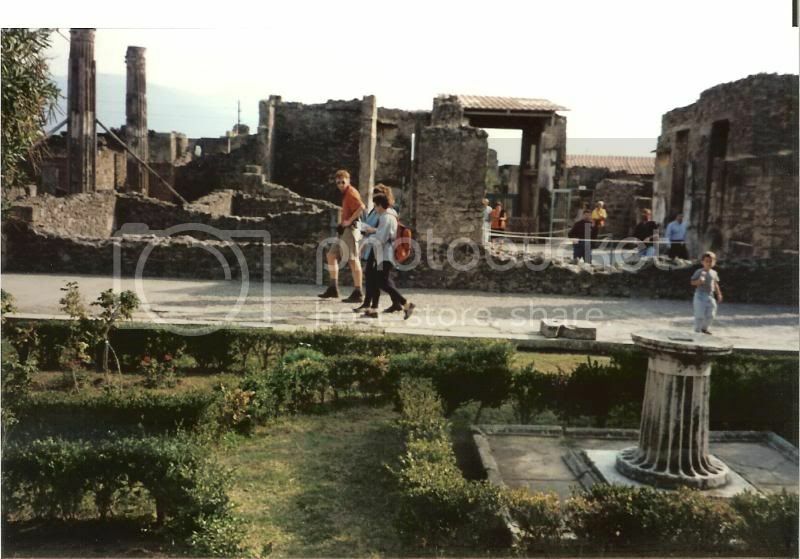 In the first shot the forum is the grassy patch in the distance. 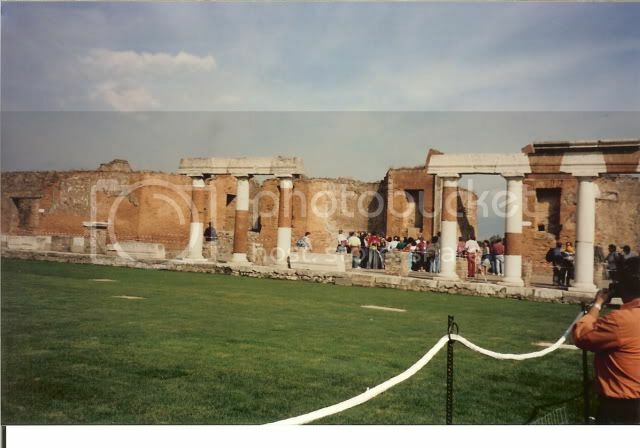 The forum was a pretty good sized area and all the government buildings and temples would have been located nearby if not on the forum itself. 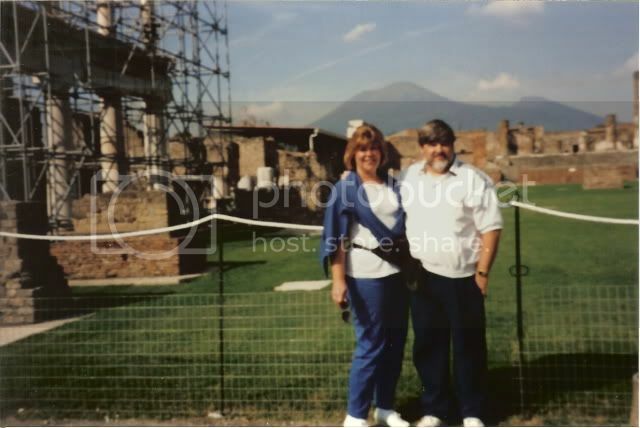 And of course we did all the touristy stuff like have our photo taken with Vesuvius in the background. The mountain dominates the landscape and it is safe to say that the poor bastards never knew what hit them. 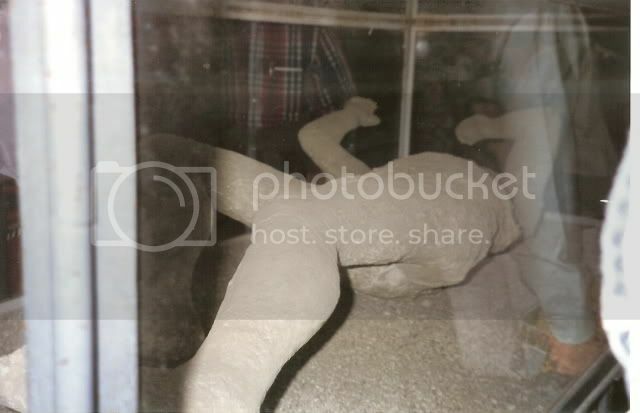 The area behind the scaffolding is being used by the archaeologists to store ceramics and other artifacts but also several of the molds they have made of the bodies of the residents who were caught in the blast. Now, those, are really freaky. Somewhere, in another album, I have a couple of shots of those. I'll see if I can find them and add them in. That didn't take so long. It was discovered that bodies which had been buried by the ash had decomposed leaving holes in the ash. Filling the holes with plaster yielded exact replicas of the bodies as they fell. This first shot was taken of a figure in a glass case which caused a bit of a reflection but one can still get the idea of the torment. 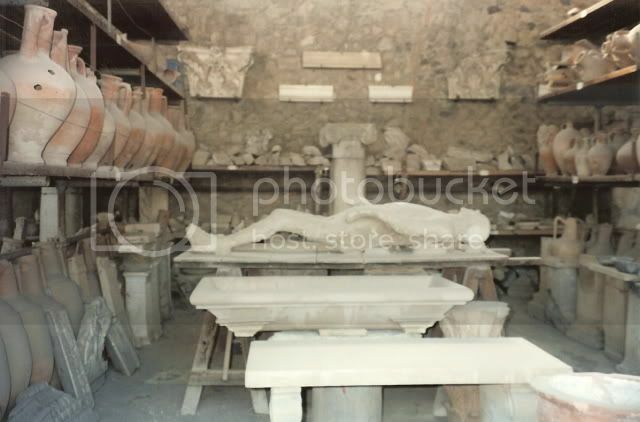 This last one is a shot of one of the workrooms with a recent find still on the table.